Immediate start - Guaranteed interview!! Apply today, start next week! Part time student work starting now, flexible evening shifts, immediate starts at £7-10 p/hr available now. Full or part time shifts in the evenings, perfect for working while you study. Change the world! Get paid for it! conversationalist who’s happy to talk to anybody and everybody. HOME Fundraising is a fundraising company with an impressive list of clients including Cancer Research UK, Oxfam, Macmillan Cancer Support, Save The Children, Breakthrough Breast Cancer, Barnado's, St Mungo's and Great Ormond Street Hospital Children's Charity. The company works with charities that help to change the world in fields as diverse as poverty, homelessness, environmental issues and health matters. Home believes in an approach to fundraising which is informed, open and professional. Full on-going training is given to help you to become the best fundraisers you can be. No cheesy dialogue, no guilt trips. You'll be trained to inspire, not "sell". One of the great things about working with Home is that the hours are in the late afternoon/mid-evening and can be flexible enough to fit in around other life commitments such as studying for a degree. 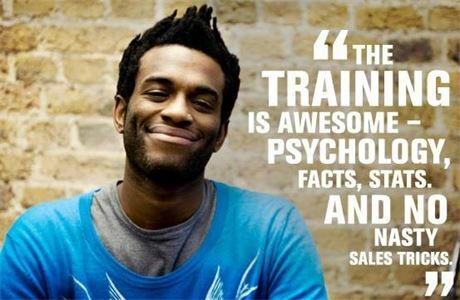 Our paid training sessions run weekly - and we have interviews most days, so if you contact us now you could be working with us before you know it. The company employs fundraisers on a guaranteed hourly rate with performance related, uncapped bonuses in addition, rather than on a "commission-only" basis. That means that you can be secure in the knowledge of how much your basic pay will be, but you could be earning much, much more if you are successful as a fundraiser. Good fundraisers can be notching up the equivalent of a £25,000 annual salary within their first month. Brilliant fundraisers for Home can earn in excess of £40,000 a year if they manage to raise enough money for their clients' good causes.